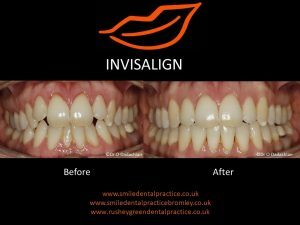 At this point I am sure that you have already heard about Invisalign or you might even know someone who had this treatment, or you even visited one of our Invisalign open days. Whatever the answer is, I thought it would be a good idea to share 15 facts about Invisalign with you. In case you are still thinking, but you know you want to have them done at some point. They might cause a bit of discomfort when changing your aligners to a new set. But they are not more or less comfortable than other braces. There might be some complex orthodontic cases that Invisalign can not correct or treat. Invisalign controls force and the time of your teeth movement. You have to remove your Invisalign aligners every time when you eat or drink. You can only drink water whilst wearing them. Invisalign aligners are custom made and designed to move only your teeth. You have to wear your Invisalign aligners for 20 to 22 hours in a day. An orthodontist or dentist trained in Invisalign treatment is likely to have successful outcomes with this method. You should go for an Invisalign treatment with the dentist that you feel comfortable with. Ask for a free consultation with one of our Invisalign Dentists. Over 1,000,000 patients worldwide have been treated with Invisalign, and the number is increasing on a daily basis. Invisalign aligners are changed about every 1 week. Complex movements might require more weeks of wear. During the treatment you might need composite buttons on your front teeth. These are matched as closely as possible with your tooth shade, to make them look more discreet. You might need future treatment once you straighten your teeth, such as composite build-ups. You have to see your dentist every 4-6 weeks for a review. You will have to wear retainers after Invisalign treatment in order to keep the teeth from shifting back to their pre-treatment positions. Do you have a question about Invisalign braces in Bromley? Please feel free to give us a call 020 8462 2474 or drop us an email or comment here, whatever suits you. We are here to talk and to give you options to invest in yourself. How to book for free Invisalign consultation? I caught up with my friend recently, who just finished her Invisalign treatment. We were both admiring her new smile and a massive change in her confidence. But it wasn’t always like that. If I go back for a year, we were at my friend’s house when I start talking about my work and what we can do in our practice. There are so many things that dentistry can do, even the simple ones, and it always surprises me how people don’t know about it. I am passionate about few things in my life, writing, photography, and dentistry. There is no surprise that I talk about these things a lot, in my private life and at work. So, I was talking about closing a gap that she had with a small denture, very discreet one, reasonable price. I was saying, even young people are wearing dentures and its nothing wrong with it, this is true. So why not close her gap? Mind you, I noticed that she is very aware of her smile. For example, she would smile less or even cover her mouth with her hand. Second time in the same day, I explained about another thing that we can do in our practice. I said to her honestly, that Invisalign is clear braces, they like to advertise them as invisible, but we rather called them clear. They are made to fit around adult lifestyle and they are removable. I told her that she has to be committed to wearing them at least 20 to 22 hours a day. She has to take them out when eating and can drink only water with it. She said it doesn’t really matter because she is not suitable for braces and it can’t be fixed. Which is to be honest always a possibility. I said that is fair enough, but did she ever consider to get the second opinion and why not to come and see us. I told her where to book for free Invisalign consultation and she did it. She booked an appointment with our principle dentist Dr O Dadashian and the rest was history. Why am I telling you this story, because you never know? You might be walking around with something that is bothering you for years and you always wondered is it possible to be fixed? I always tell to my friends and all our patients because I just simply care, if there is something that you don’t like about your smile or teeth, if you are thinking about it or you are just aware of it, it does need attention. I am not talking about treatment at this stage, but just attention of an expert such as the dentist. If you think about your mouth and teeth, you need them not only for eating but also for smiling, for your confidence and for a better quality of life. Maybe Invisalign is not the best straightening option for you, which is fine, but why don’t you just check? If one dentist says no, maybe the second one will say yes. We are all different and unique, dentists, patients, nurses and receptionists. We all have different opinions and our own capabilities. It’s your mouth and your choice, that’s all that I want you to remember. 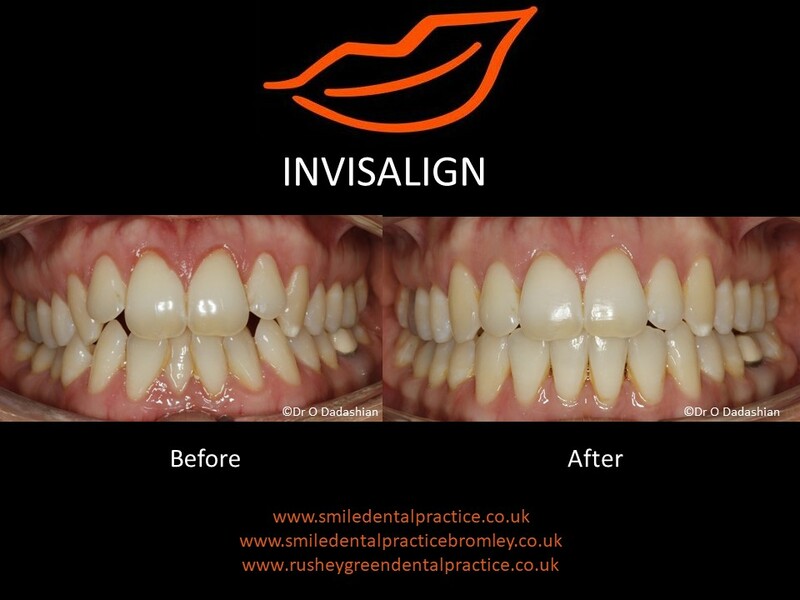 Do you have a question about Invisalign braces in Bromley? Please feel free give us a call 020 8462 2474 or drop us an email or comment here, whatever suits you. We are here to talk and to give you options to invest in yourself. Last week I was contacted over the phone and by email from several patients who are not comfortable seeing a dentist. Because this happened no fewer than six times, I have decided to write something regarding the common fear people have of the Dentist. Our Dental Practice is a team made up of 6 regular people. 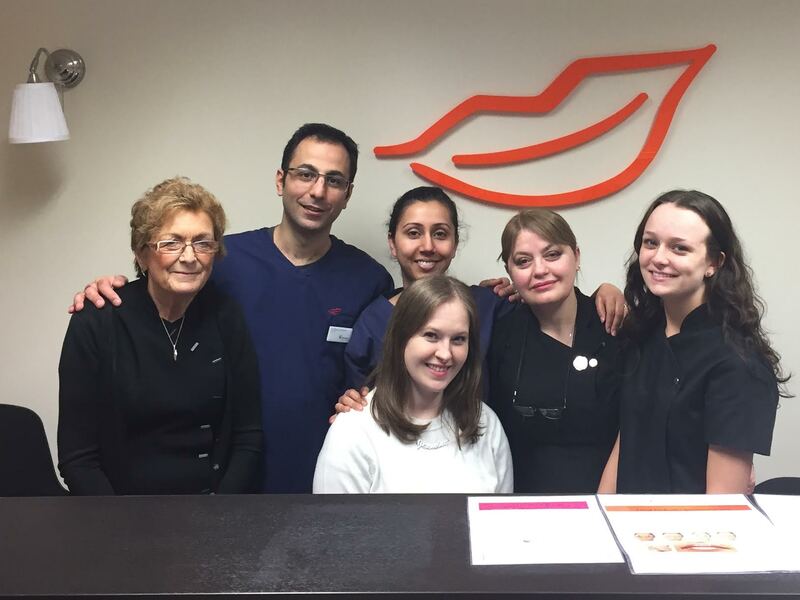 Two dentist, Roozi and Anu, two dental nurses, Ayse and Alex and our two receptionists, Maggie and myself, Jasmina. We do have other members of the team but they are not with us every day. As you can see, we are small team and our practice is also small, but proudly this is what makes us different. Why taking up overseas based ‘special offers’ for dental implants could be a mistake. Anyone who is considering a dental implant procedure and has done some research on the internet, can’t but have failed to notice a large number of advertisements for ‘cheap dental implants’ abroad. Looking further into this, you may have found a difference in prices between these dental practices and those in the UK. There are a number of reasons for this. Some, such as a lower cost of living, are genuine and valid. However, others may well have a negative impact on the outcome of the procedure. To be able to place dental implants in the UK, a lengthy additional training period is needed. This is necessary to bring dentists up to the standards required by the governing bodies in the UK. All of our implant dentists at the Smile Dental Practice are qualified and experienced; however, this may well not be the case in other countries where different standards apply and where it is also more difficult to check. Any reduction in training and standards could help to reduce prices, but the risk to the patient would be that much higher. A look at both the practical and cosmetic role of dental crowns. The dental crown is a well established procedure that is in common use at dental practices across the world. 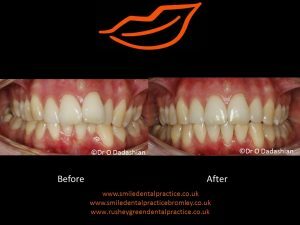 It can be used to improve both the strength and the appearance of a tooth, as our Bromley cosmetic dentist explains. The most common use of a dental crown is where a tooth has broken. In the event of it actually snapping, perhaps due to an accident, a crown is an obvious choice. Key to success though is prompt action on the part of the patient. Breaking a tooth can lead to the dentin layer being exposed, and, if not attended to quickly, can allow bacteria to access the area and cause tooth decay. If left for a long period of time, it may be that the tooth goes beyond saving and has to be extracted. Whilst there are effective replacement methods such as dental implants; at the Smile Dental Practice we prefer to save the natural tooth wherever possible. Is Private Dental Care Expensive? Spreading the cost of cosmetic dental procedures with our monthly payment plan. With the wide range of cosmetic dental procedures now available, it is not reasonable to think that these could be paid for on the NHS. To do so, would mean significant increases in taxes which would almost certainly not be accepted by the electorate. NHS dental care, which we also provide at the Smile Dental Practice, was, and still is, designed to ensure that everybody has affordable access to essential dental care. This covers the ‘basics’ such as check ups, x-rays, fillings, extractions and some restorative procedures. What it does not cover, essentially, are procedures that can be classed as ‘cosmetic’. Trust your local dentist if you need root canal therapy. No patient likes to be told that they need root canal treatment. Thanks to its unfounded reputation, those words are, for some, quite a concern. Thankfully, the procedure is nowhere as bad as we are led to believe, and with the treatment being carried out by the endodontic specialist based at our Bromley dental practice, you can be assured that you are in very capable hands. In fact, if you are told that you need root canal treatment, it means that the specialist feels that the natural tooth can be saved. This means that there may be no need for extraction with the resultant gap in the teeth, or the need for a replacement such as a bridge or dental implant. 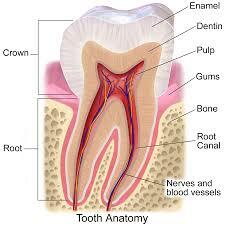 The reality is that once the canals of the teeth become infected, they cannot be ‘cured’. The only option available is to access the canals and remove the infected material, cleaning the hollow canals and filling them. To complete the procedure, a crown will be placed on the tooth to create a better aesthetic appearance and to strengthen it. Looking For An NHS Dentist in Bromley? The Smile Dental Practice offers private, Denplan and NHS dental care. 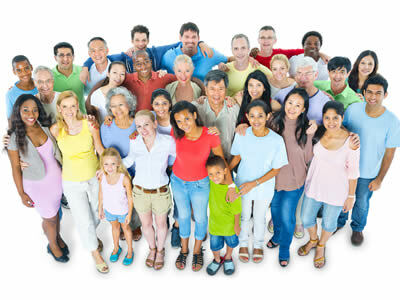 At our Bromley dental practice, we see a variety of patients from many different parts of the local area and society. Their needs differ from person to person too, with some simply requiring essential dental maintenance, whilst others are looking to improve the appearance of their smile. Sometimes we see some confusion about the role of NHS and private dental treatments, so we thought we’d try to address this in our blog. At the Smile Dental Practice, we do offer patients NHS dental care. This is very popular and there may be a waiting list, so if you are interested in joining our practice as an NHS patient, we recommend that you contact us now for the latest information. The NHS offers essential dentistry that should be sufficient to ensure healthy teeth and gums. Pricing is split into three categories dependent on the complexity of the procedure. Basic restorations such as fillings and crowns are available on the NHS, as are extractions, although we avoid taking out teeth where other options are available to save them. Cleaning of the teeth and gum line too can be done through the NHS in the fight against gum disease, one of the biggest causes of tooth loss in the UK. Some types of dentures and bridges are also available on the NHS and generally the care available is designed to ensure that a patient has access to a reasonable standard of dental care throughout their lives. 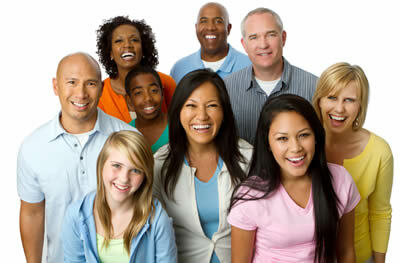 Causes and Dental Restoration Options. A tooth can break for any number of reasons, often associated with teeth that have been weakened and compromised through poor oral care. A tooth that is weakened through decay, for example, is more prone to breaking than a healthy tooth. Even healthy teeth can break though and this is more likely to be caused by an accident or blow to the face. Although often unavoidable; tooth damage through playing contact sports can usually be minimised by using a mouth guard during the game. 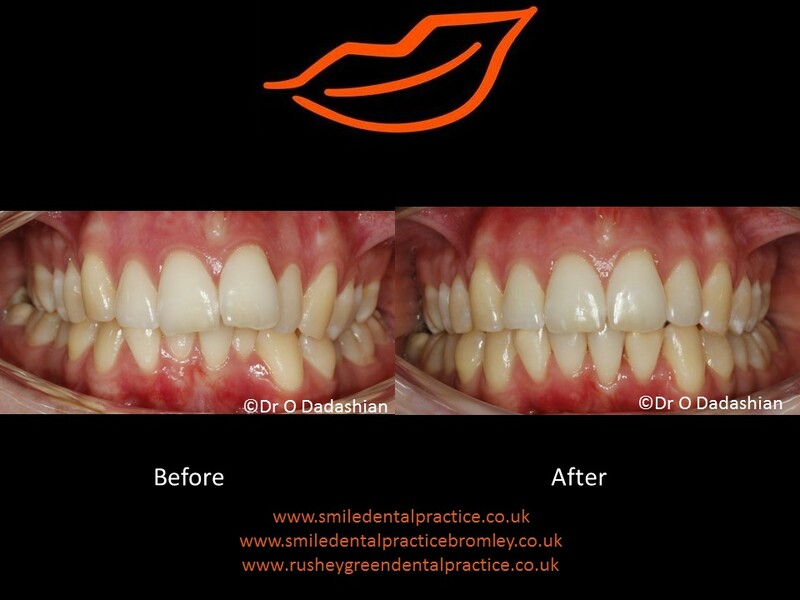 At the Smile Dental Practice in Bromley, we offer patients a variety of procedures that can be used to restore broken teeth. The most appropriate treatment will be decided following examination of the damaged tooth by our experienced team of dentists. Where a tooth has suffered damage to the surface or perhaps significant staining, a dental veneer may be an option providing that it is a front tooth that is affected. Whilst a veneer may not be sufficient for more extensive damage, where cosmetic damage alone has occurred which affects the appearance, veneers do offer an excellent solution. Dental bonding may also be used when only minor damage has occurred but it is not as strong or long lasting as a porcelain veneer and also more prone to discolouration.